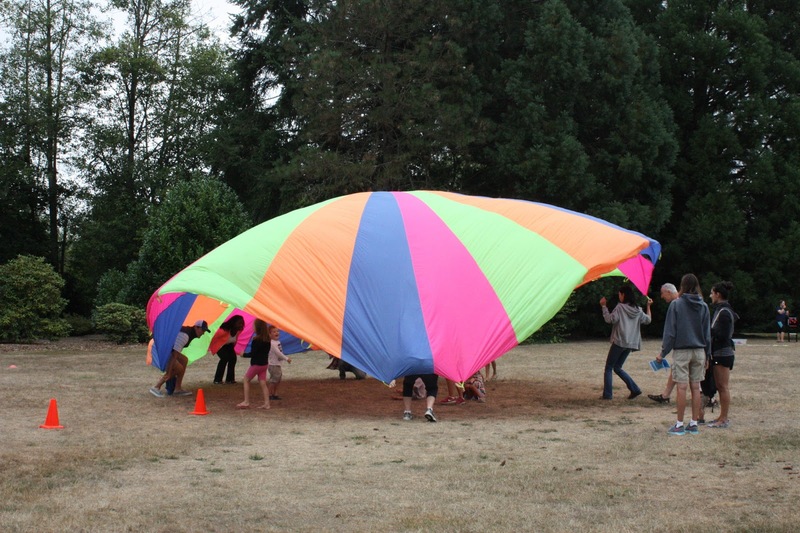 Gather the kids and join your neighbors for Kenmore Play Day on Saturday, August 11, 2018 at Rhododendron Park, 6910 NE 170th Street. This popular, free community event starts at 11:00am with activities running until 2:00pm. The event offers kids of all ages an opportunity to discover the fun of play by participating in a variety of activity booths. From arts and crafts stations to Tae Kwon Do demonstrations, the options are endless. Grab some friends and swing by the photo booth sponsored by Kenmore Pediatric Dentistry to snap a great memory of the event! Participants can pick up a Passport to Play from the City info tent. After visiting at least half of the activities, they can redeem it for a frisbee! Stop by the Snack Shack for free healthy snacks courtesy of the Kenmore City Council. Parking near the park on NE 170th Street is limited. Park at one of the Play Day parking lots and jump on the shuttle. The FREE shuttle bus will run from 10:45am to 2:15pm, with the last shuttle leaving Rhododendron Park at 2:15pm. Children must be accompanied by an adult to ride the shuttle. Event details and the latest updates on shuttle pick up and drop off locations on the website.